Lucinda’s sons, Justin and Matthew, were given the nicknames Jiff and Murray for when they acted out their goofy personalities. 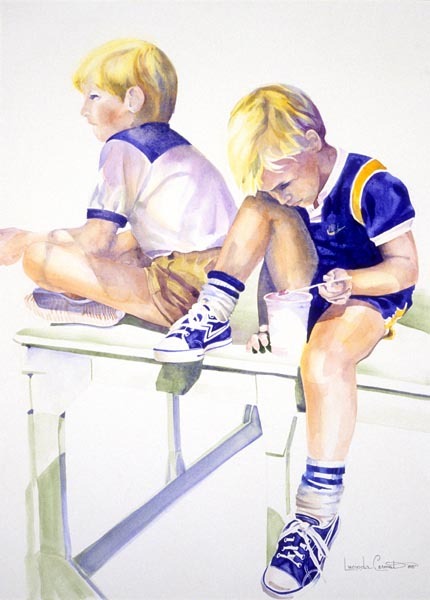 This watercolour is one of a pair, each focuses on one son who is the focal point. Matt, or Murray, is the star of this painting as you can see in the definition in his face. Justin’s painting will soon follow.